Issue : RED/Graffiti is crashing host upon launch, as well as when attempting to launch as a stand-alone program. Cause : Problematic Fonts unable to successfully initialize, causing an interruption of launch operations. 1. Primarily, you want to force most of the Filters on the system Offline. 3. Highlight the Fonts in large groups and press the square button below (representing an unchecked checkbox). Note that some Fonts are tied to the system itself and will not disable, so you will need to disable the Fonts in groups. If you are running Windows, you can Offline the Fonts on your system by closing all possible programs and physically removing the bulk of the Fonts from the Font directory* to a new folder of your own elsewhere. Once the bulk of your systemʼs Fonts are disabled, try launching Boris RED/Graffiti again. 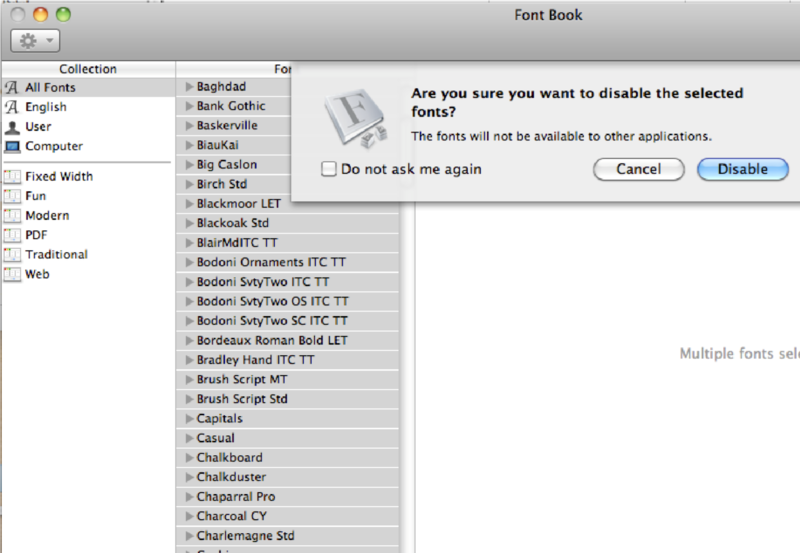 If it launches, you can close the program and bring groups of Fonts back online - eventually, you will re-enable one more more Fonts that are causing the crash, in which case you can keep the Font(s) disabled.